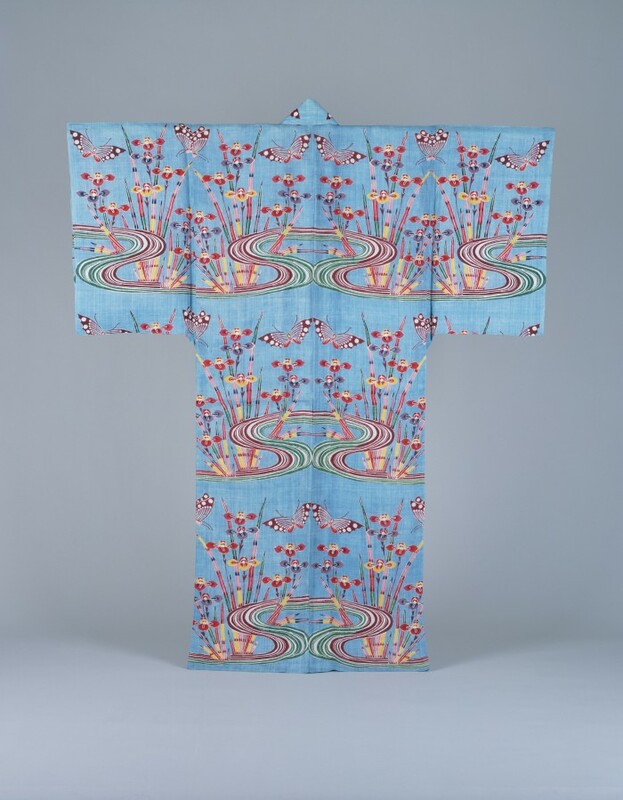 This is a BINGATA-dyed summer garment for women. 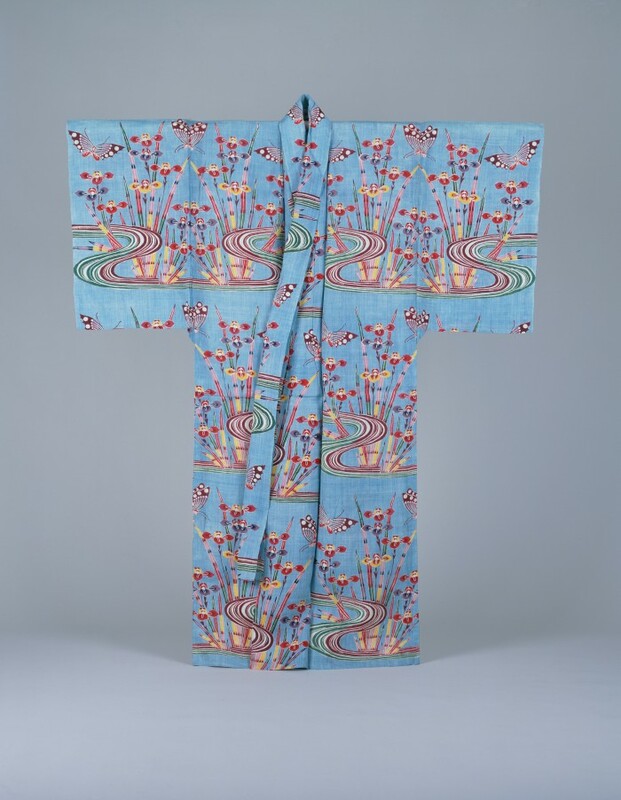 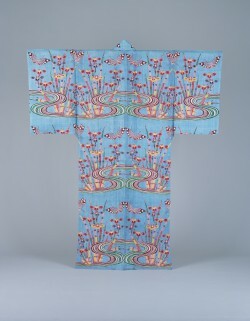 The design depicts butterflies, sweet flag and flowing water patterns on a light blue-colored cloth. 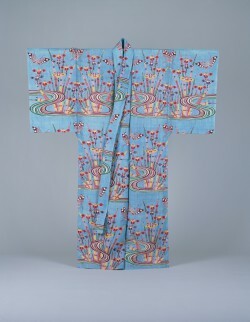 The cloth was dyed with indigo, and a synthetic pigment called BEROAI (prussian blue) was used for the green part of the flowing water pattern.